Miami nonprofit exhibition space Locust Projects announced today that Lorie Mertes was appointed executive director. 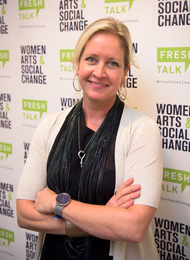 Currently the director of public programs at the National Museum of Women in the Arts in Washington, DC, Mertes will officially assume the position on May 5. She succeeds Chana Budgazad Sheldon, who said she is stepping down after eight years to pursue new opportunities. “Lorie’s ingenuity and ambition will prove invaluable at a time when Locust Projects celebrates two decades of programming and looks towards implementing a strategic planning process to map our path for the years to come,” said board chair Debra Scholl. Mertes will be responsible for overseeing Locust’s exhibition program, as well as annual programs such as Locust Art Builders, which provides artist-led instruction and resources to Miami-Dade high school students, and Locust Talks, a lecture series that hosts visiting directors and curators. Established in 1998 by Miami-based artists Elizabeth Withstandley, Westen Charles, and COOPER, Locust Projects is dedicated to supporting contemporary artists at critical stages in their careers. Since its founding, the venue has presented over 150 exhibitions featuring more than four hundred artists. Born in Queens, New York, in 1946, Mapplethorpe left home in 1962 to enroll at the Pratt Institute, where he studied painting and sculpture and received his bachelor’s degree in 1970. Throughout his career, Mapplethorpe captured a diverse mix of subjects with his lens, including male and female nudes, celebrity and commissioned portraits, New York’s subculture scenes, and still lifes. Among the institutions that staged solo exhibitions of his work are the Institute of Contemporary Art, Philadelphia; the Museum of Contemporary Art, Chicago; the National Portrait Gallery, London; the Stedelijk Museum, Amsterdam; and the Whitney Museum of American Art, New York. Staff members of Tate—many of whom are not paid London’s living wage—are up in arms after the organization requested donations to put towards buying outgoing director Nicholas Serota a sail boat as a parting gift, Hannah Ellis-Petersen of The Guardian reports. Employees were outraged after a notice stating that museum officials thought “long and hard” about a gift for Serota, who will leave Tate in May, and that it planned to purchase a sail boat as a “very special reminder of the high regard which I know so many of us have for Nick and his contribution to Tate” was posted in staff rooms at both Tate Modern and Tate Britain. A statement issued by Tate defended the organization, claiming it has worked towards raising salaries over the past three years, and said that there is “no obligation for any staff to give towards a leaving gift. However, they can if they wish.” According to one museum professional who wished to remain anonymous, the incident highlights the widening gap between staff and upper management. Hauser & Wirth announced today that it will represent Romanian artist Geta Brătescu in collaboration with her longtime dealer Marian Ivan of Ivan Gallery. The ninety-one-year-old pioneers of Romanian conceptualism often explores themes if identity, gender, and dematerialization in her works. The gallery will present an inaugural exhibition of her works at its Twenty-Second Street space in November. Brătescu will represent Romania at the Fifty-Seventh Venice Biennale, which opens May 13, and at Documenta 14, taking place in Athens and Kassel. With a career spanning fifty years, Brătescu has represented the country in a number of international biennials, including the Venice Biennale in 1960 and 2013 as well as the So Paulo Bienal in 1983 and 1987. The legendary artist Vito Acconci, best known for his works of the 1960s and ’70s for which he did a number of controversial acts ranging from biting himself to masturbating under the floorboards of Sonnabend Gallery, has died at the age of seventy-seven. According to art dealer Kenny Schacter, the cause of death was a stroke. Born in the Bronx in 1940, Acconci earned his bachelor’s degree from Holy Cross College in Worcester, Massachusetts, and his master’s degree in writing at the University of Iowa, Iowa City, in 1964 before returning to New York. Over the course of his career, he created a diverse body of work in poetry, criticism, performance art, sound, film and video, photography, and sculpture that often explored themes of the human body and the relationship between himself and the public space. In the 1970s he created works reflecting his interest in architecture, landscape, and furniture design, and in the 1980s he began making sculptures that required viewer participation. Since his first solo show in 1969, at the Rhode Island School of Design in Providence, Acconci has participated in numerous exhibitions. Retrospectives have been organized by the Stedelijk Museum, Amsterdam, in 1978; the Museum of Contemporary Art in Chicago in 1980; and MoMA PS1 in Queens, New York, in 2016. He has also taught at several institutions including the California Institute of the Arts in Valencia, Nova Scotia College of Art & Design in Halifax, San Francisco Art Institute, School of the Art Institute of Chicago, and the School of Visual Arts in New York. Among his many works are Following Piece, 1969, in which he followed pedestrians on the street until they entered private spaces; Information, 1970, for which Acconci had his mail delivered to New York’s MoMA and went there every day to open it; Openings, 1970, a video framing the artist’s stomach as he pulls out his body hair; and Trademarks, 1970, a performance during which Acconci bit every part of his body he could reach. Acconci has received multiple fellowships from the National Endowment for the Arts, as well as from the John Simon Guggenheim Memorial Foundation and the American Academy in Rome. He was also awarded an International Sculpture Center’s Lifetime Achievement Award in 1997 and two New York City Art Commission Awards for Excellence in Design in 1999 and 2004. In 2000, Acconci was a finalist for the Hugo Boss Prize. Gabi Ngcobo, the curator of the Tenth Berlin Biennale for Contemporary Art, has invited Moses Serubiri, Nomaduma Rosa Masilela, Thiago de Paula, and Yvette Mutumba to collaborate with her as the curatorial team for the exhibition. In addition, graphic designer Maziyar Pahlevan was tapped to create the visual identity for the biennial. According to the biennial’s website, each member of the team has “ongoing, malleable, and open-ended research interests” and their creative output “continuously reflect historical and current shifts and their uneasy entanglements.” They have also worked previously with Ngcobo on various initiatives. Opening on June 9, 2018, and running until September, the biennial “proposes a plan for how to face collective madness” by focusing on strategies of self-preservation, the act of dismantling dominant structures, and building from a non-hierarchical position. Dedicated to the development and international presentation of Russian contemporary culture, the V-A-C Foundation announced today that Francesco Manacorda was named its new artistic director. He currently serves as artistic director of Tate Liverpool, which he joined in 2012. Manacorda will take up the post in September. While at Tate Liverpool, Manacorda’s term was marked by his focus on education. He created a new approach to programming at the institution, which integrated exhibitions, learning, and research by presenting monographic exhibitions of modern artists alongside solo shows of contemporary artists including Nasreen Mohamedi and Piet Mondrian, Maria Lassnig with Francis Bacon and Ella Kruglyaskaya, and Glenn Ligon alongside Jackson Pollock and Geta Bratescu. Previously, he cocurated the 2016 Liverpool Biennial as well as various exhibitions including “Martian Museum of Terrestrial Art” (2008) and “Radical Nature—Art and Architecture for a Changing Planet 1969–2009” (2009) at the Barbican in London. In 2007, he curated the Slovenian Pavilion at the Fifty-Second Venice Biennale and the New Zealand Pavilion at the Fifty-Third Venice Biennale in 2009. Phillips has announced the appointment of Julia Roxana Heinen as a specialist and regional director for twentieth century and contemporary art for Switzerland. 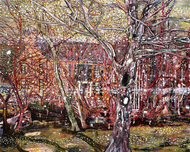 Heinen is currently the senior specialist for postwar and contemporary art at Bonhams in London. 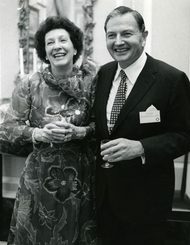 During her tenure at Bonhams, Heinen worked on auctions in London, New York, and Hong Kong, establishing an international client database for the auction house by focusing primarily on German and Swiss collectors. Korean sculptor Do Ho Suh has been named the 2017 winner of the $275,000 Ho-Am Prize for the arts. Established in 1990 by Kun-Hee Lee, the chairman of Samsung, the annual prize honors Koreans who have made significant contributions to the fields of science, engineering, medicine, community service, and the arts.